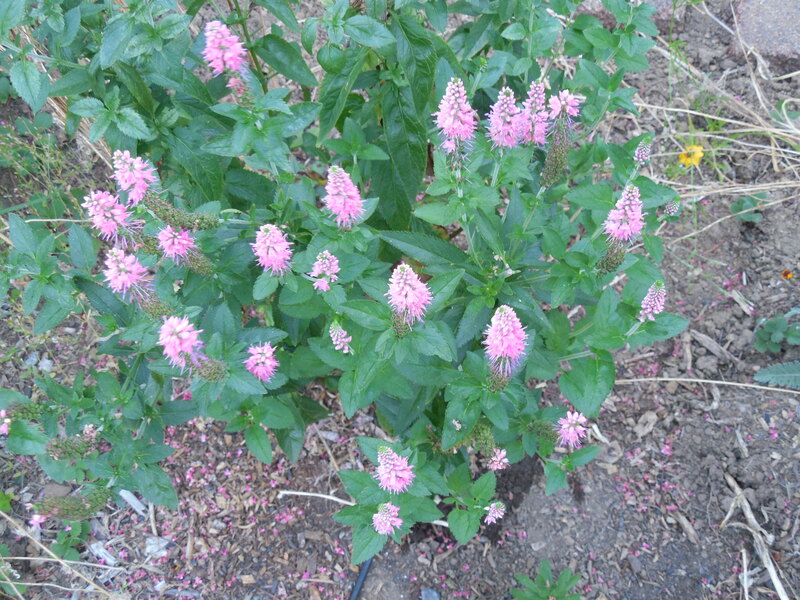 some of my favorites are the ones that keep on blooming. Roses should be on the top of the list, as they love the summer sun. 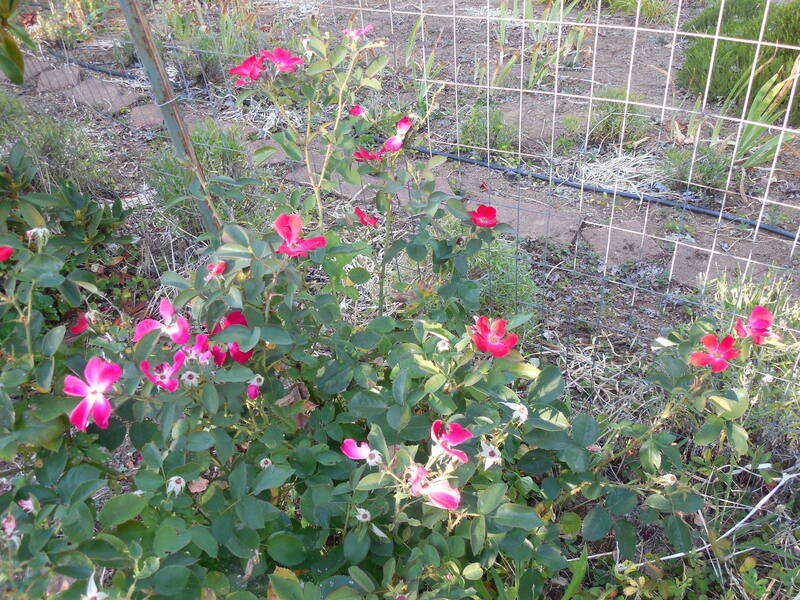 Bush with single red roses on the left shows flowers in different stages of bloom. 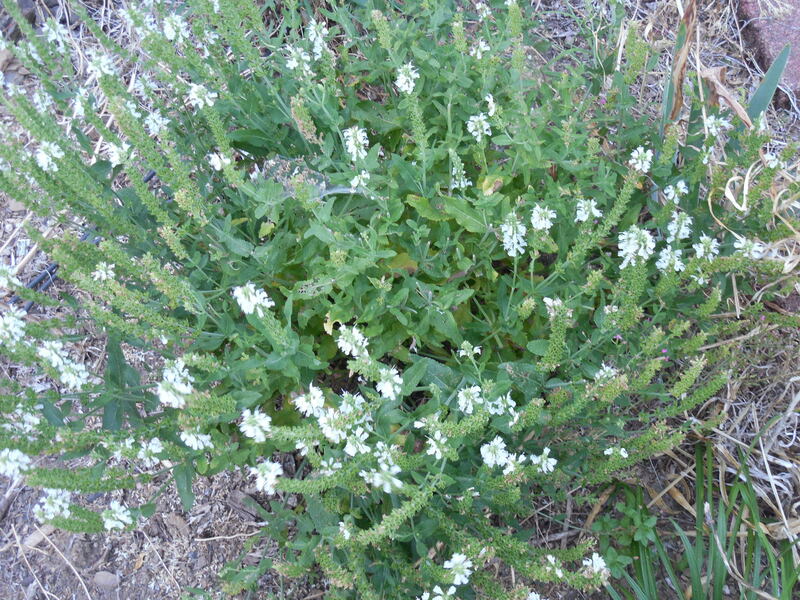 This plant flowers so profusely and continuously, it is near impossible to keep up with deadheading. 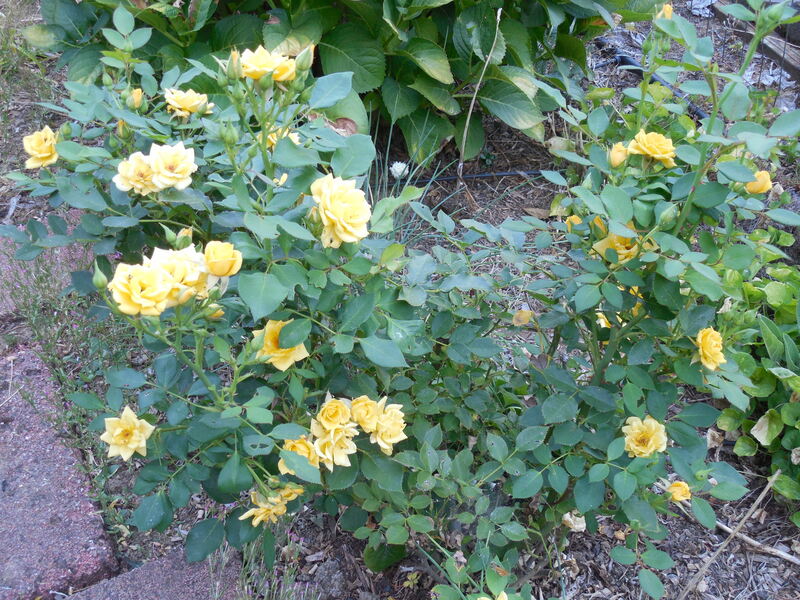 Mini-roses on the right are one of my most reliable steady bloomers. Oh, I must be losing my mind, as I cannot remember your name. Your face, yes, but not your name. . .
through the heat of summer. Spent flowers were cut a couple of times, and they just keep on keeping on. 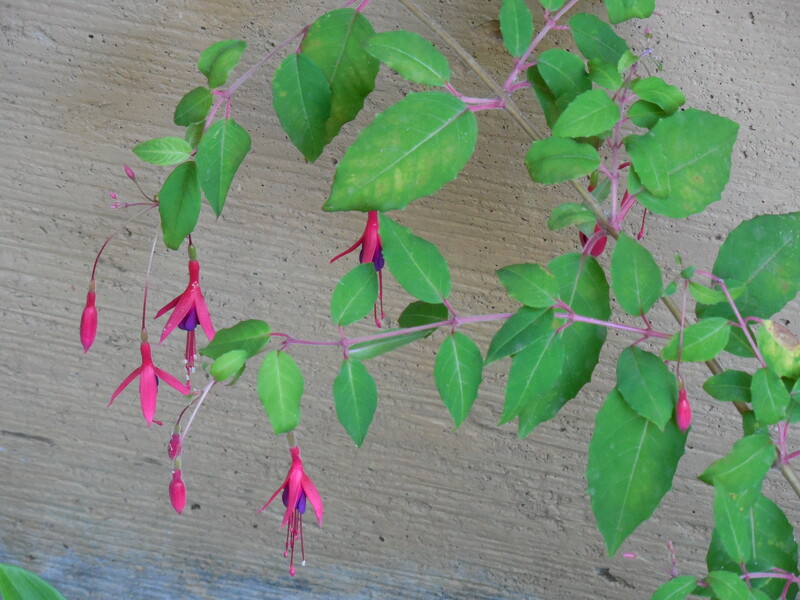 My fuchsia is still small, so I almost forgot about it, but it bloomed all summer. I need to be patient; it will fill out in time. 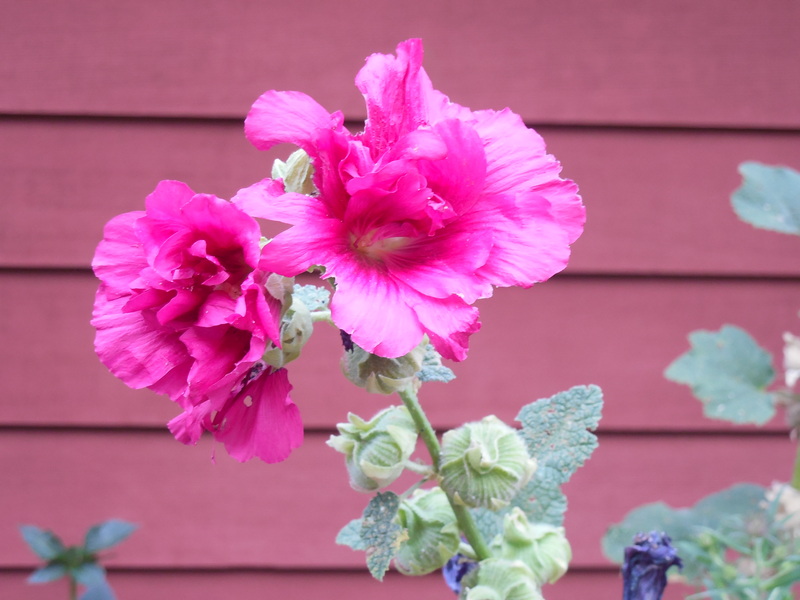 One of the last hollyhock blossoms at the top of its stem. as the weight of the flowers is too much to stay vertical. Categories: Uncategorized | Tags: deadheading, flowers, fuchsia, hollyhock, mini, red, roses, single, summer, yellow | Permalink.